While President Obama lobbied global leaders to support intervention in Syria at the G-20 Summit in Russia, his foreign policy team testified on Capitol Hill as Congress considers whether to approve military action. Will Syria define Obama’s foreign policy priorities? Joining Gwen: David Sanger, New York Times; John Dickerson, Slate & CBS; Susan Davis, USA Today; and Ed O’Keefe, Washington Post. PRESIDENT BARACK OBAMA: (From tape.) This is not something we’ve fabricated. This is not something that we are using as an excuse for military action. I was elected to end wars, not start them. MS. IFILL: Making the case for intervention abroad to the American people at home. SECRETARY OF STATE JOHN KERRY: (From tape.) President Obama is not asking America to go to war. MS. IFILL: But a fight has broken out on Capitol Hill. REPRESENTATIVE JOHN BOEHNER (R-OH) [Speaker of the House]: (From tape.) Only the United States has the capability and the capacity to stop Assad and to warn others around the world that this type of behavior is not going to be tolerated. REPRESENTATIVE CHARLES RANGEL (D-NY): (From tape.) I can’t imagine anything that I’ve heard that will persuade me that the conduct of this insane maniac in Syria is doing anything to place my country in danger or to violate our national security. MS. IFILL: As the president prepares for a national address, he also faces basic political questions. PRESIDENT OBAMA: (From tape.) My credibility is not on the line. The international community’s credibility is on the line. America and Congress’ credibility is on the line because we give lip service to the notion that these international norms are important. 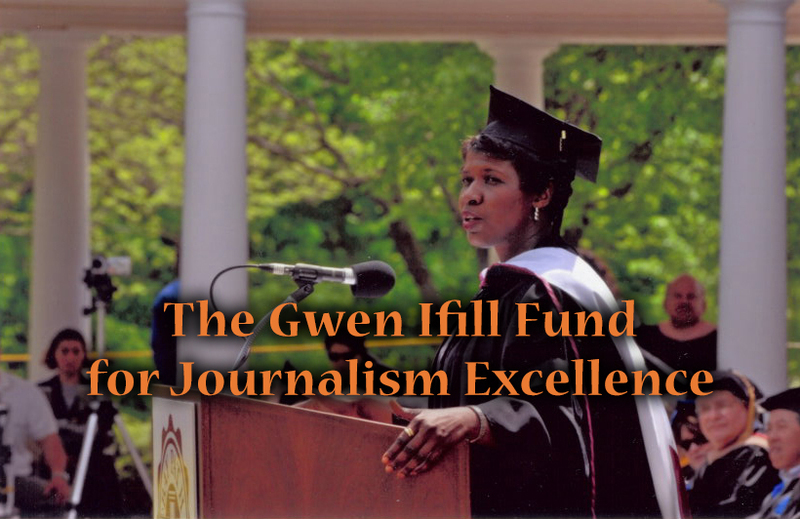 MS. IFILL: But can Congress or the public be persuaded? Covering the week: Susan Davis of USA Today; John Dickerson of Slate magazine and CBS News; Ed O’Keefe of the Washington Post; and David Sanger of the New York Times. MS. IFILL: Good evening. This has been a perplexing week for the president and a challenging one for Congress. The president said he has decided it’s important to strike Syria in order to punish President Bashar al-Assad for using chemical weapons against his own people. Then he asked Congress to back him up. At first, leaders from both parties and both chambers climbed on board. SENATOR DIANNE FEINSTEIN (D-CA): (From tape.) Once the administration made this call, though, I think there is a real need for us to back it up or America becomes a paper tiger. REPRESENTATIVE PETER KING (R-NY): (From tape.) I think we should go ahead and strike. And it’s – if he does strike, it can’t be just one – you know, one day or two days of Tomahawk missiles. MS. IFILL: The president’s war cabinet went to Capitol Hill. SECRETARY OF DEFENSE CHUCK HAGEL: (From tape.) Having defined America’s interests and our military objectives, we also must examine the risks and the consequences of action as well as the consequences of inaction. MS. IFILL: But tonight, many members of Congress from liberal Democrats to conservative Republicans remain unconvinced. REPRESENTATIVE ALAN GRAYSON (D-FL): (From tape.) People understand it’s not our problem. It’s not going to do any good. It’s expensive and it’s dangerous. If you want to get us into a third war in the Middle East, this is the way to do it. SENATOR SUSAN COLLINS (R-ME): (From tape.) I do think that many of us have learned how difficult it is, based on the Iraq experience, for the United States to get disengaged once we take a military action. MS. IFILL: So, Ed, let’s keep count. Where do we stand tonight? ED O’KEEFE: As of tonight, as we go on the air, according to the Washington Post whip count at least at this point, there are 224 lawmakers that are either no or leaning no in the House. You’re going to need 217 to defeat the resolution when it comes, because there’s two vacancies right now in the House so the magic number is 217. It’s a little easier in the Senate. At this point, just 15 are opposed. Four Democrats are among them. Another 10 are leaning no and a majority are still undecided. You talk to senior congressional aids, you read through the tea leaves when it comes to the House Democrats especially. And there’s a belief that when many of these still skeptical or leaning-no lawmakers return to Washington on Monday, head into those closed door briefings and begin reviewing the materials, that it might compel some of them to at least remain conflicted and undecided through the week because some have emerged and did say, yes, it’s clear that there’s evidence that this happened and that Assad did it, but, as we’ve seen, there are those that say, well, what’s the risk to the United States? And that is the argument the president will have to make in the coming days. MS. IFILL: It seems that part of the problem, Sue, for the Republicans like John Boehner, who went out on a limb in support of the president right off, and the Democrats, like the president, is that their bases are the ones who are (banning ?) them, the far left and the far right. SUSAN DAVIS: Right. I think – to start with Republicans, I think one problem that you have with Boehner and Eric Cantor, his deputy, that also came out early in support of it, is this is a conference that does not necessarily follow in line with their leadership. The idea that the speaker and the majority leader would get behind something, we’ve seen repeatedly on other issues in this Congress, doesn’t necessarily translate into votes. On the opposite end, you have Nancy Pelosi, which is a certain amount of irony in the San Francisco liberal being the lead advocate for the Nobel Peace Prize winner on Capitol Hill, but also came out early and forceful. And I think Pelosi has shown a demonstration of being able to get more Democrats in line. There’s a little bit more party unity. I think there’s more of an idea that this is their president and that they’re going to have to put more of the numbers on the board to get this passed. But, as you’ve seen liberals like Alan Grayson – Carol Shea-Porter was a Democrat who came out from a briefing yesterday and said, I’m even more convinced we don’t need to vote for this. So it’s hard to see where it stands today that the House is going to be able to have the votes to get there. And there is – members I’ve talked to say that the president is going to have to make such an overwhelming case in his address to the nation that it’s going to have to swing a lot of votes. And that seems like a really tall ask at this point. MS. IFILL: John, the president thinks he’s making an overwhelming case – at least he keeps saying he is making an overwhelming case, but, obviously, the arguments against and for are breaking down pretty clearly. What are the reasons for this debate? Why is this still so up in the air? JOHN DICKERSON: Well, it’s up in the air – I think that – I’ve counted up various different reasons for not taking this action. And I’ve got about 18 different distinct reasons given. MS. IFILL: To not do it. MR. DICKERSON: To not do it. Everything from members who have said, look, we need to spend this money at home; others have said this will – this will set off a conflagration in the region. And the president has to kind of knock down all those arguments. He can’t do that, of course. I think the biggest hurdle for him, when you talk to these members and you call up these different offices, their phones are melting. Their e-mail inboxes are overflowing with people saying, do not do this. I talked to one office and I said, well, you know, this other office, it’s running about 100 to one. And this person, no. Here, it’s running 800 to one, people against this. Why are they against in the majority? People think that it’s unpredictable, that if – no matter how much the president talks about this being a limited, targeted strike, people think that a limited targeted strike will end up into Iran responding. Russia has said they will protect Syria if something happens. There is nothing the president can say or that these lawmakers can go back to their constituents and say that will allay those fears. Essentially, they’re going to have to say something that teaches their constituents to just get over those fears. That’s a hard thing to do after Iran and – the Iraq and Afghanistan experiences. MS. IFILL: Well, exactly. There’s this Iraq hangover. And one of the big questions that some people still have is whether this evidence is real. That’s why they keep bringing them into classified briefings. What is the evidence that makes this such – and I guess John Kerry wants to retire the term slam-dunk, so I’ll do that. MS. IFILL: But so certain. MR. SANGER: Well, in an odd way, it’s almost the reverse of Iraq. In Iraq, the question was, were there weapons and not who would use them if the weapons are actually there. Here, there’s no doubt there were weapons. We’ve seen the photographs of people who clearly, you know, were asphyxiated in chemical attacks. The U.S. has emerged with physiological evidence. The U.N. inspectors have not yet shown their physiological evidence but the indications are they’ve got the same thing that the U.S. has. What’s unknown is who actually used it. And that’s where you’ve got to go do the big inferences, because, as you look at these attacks which appear to have used sarin gas, it’s not a very easy thing to use. There are individuals who can do it. Those attacks in Tokyo more than a decade ago were also sarin, but it requires a lot of planning, a lot of training. And in this case they were launched on rockets. And there’s no evidence at all that the gas supplies have left the hands of the government. And then, the U.S. says there are intercepts, which we have not heard yet directly, so we’ve got to take their word for it or not, of Syrian commanders planning for this and then talking about the event after the fact. MS. IFILL: You know, the president says – has made the argument that the U.S. has said and the Congress has said in 2003 that this is a line that shouldn’t be crossed. Yet, he gets a little annoyed whenever he’s asked about his red line. Let’s listen to what he said. PRESIDENT OBAMA: (From tape.) First of all, I didn’t set a red line. The world set a red line. The world set a red line when governments representing 98 percent of the world’s population said the use of chemical weapons are abhorrent and passed a treaty forbidding their use even when countries are engaged in war. Congress set a red line when it ratified that treaty. MS. IFILL: So the question then becomes – now, he doesn’t like this question either but the credibility issue, who set the red line, who – whether Congress is capable of fulfilling its promises the way he laid out. Is that the kind of conversation that’s happening on Capitol Hill as well? MS. DAVIS: Yes, I think so. I think of the things that we heard a lot from lawmakers this week in the hearings is that there’s a lot of doubt about – because there is very – a perception of a lack of support in the international community. I think if there was more of an international response, it would be easier to make the case to Congress. I also think there is a very hard argument that the administration is trying to make that the immediate United States national security interests are threatened at this point. And that is not only a hard sell for lawmakers to their constituents, but they don’t necessarily believe it. If anything, as you referenced, there’s this threat or this idea that if we do act, does it risk provocation from another – is there the unknown quantity of what happens if we do act and people do respond. And that really scares lawmakers. MR. SANGER: Well, I think there are two things that sort of jump out from that clip. Yes, the world set a red line in 1925, and, again, in the 1970s. But the U.S. has ignored some other chemical weapons attacks, including during the Iran-Iraq war. Then the president set a red line and he set it very clearly and said pretty clearly what the consequences would be. So while the world set it, then Barack Obama adopted it. And you can say that, you know, it’s understandable why he did. This is somebody who takes weapons of mass destruction quite seriously. When he got elected, he got elected on the thought of bringing down America’s nuclear stockpiles. We have just about as a country gotten rid of America’s chemical stockpiles, but it’s taken 14 to 15 years and it’s not done yet. So that’s point one. But the second gets to this point that Ed raised about the immediate national security interest. And the fact of the matter is Assad can’t reach the United States. He doesn’t have the missiles that can reach the U.S. Chemical weapons are not something that pose an existential threat the way nuclear weapons do. But he can reach American allies. And if the country implodes, which it may do even if the U.S. doesn’t intercede, and those weapons get loose, then you’ve got the question of where they will turn up elsewhere in the Middle East. MR. DICKERSON: And it will be interesting. An administration official made the case, taking one step further what David is making, is that if this norm – they keep talking about the “norm” against the use of chemical weapons, a word that I wonder how much purchase that has out in the real world. MS. IFILL: Yeah. They keep using it. MR. DICKERSON: But if the use of chemical weapons is not stopped, the whole fear of handling of chemical weapons gets a little looser. They start to float around. And an administration official made the case tonight that they could come here, that they float around a little, they get into the hands of terrorists and then they come back. MS. IFILL: They’ve been hinting that all along. Yeah. MR. DICKERSON: What’s interesting about that is that’s a very charged and emotional argument. MR. DICKERSON: It’s also a stretch. It’s a bank shot, how it directly affects the safety and security of Americans. We saw in the run-up to the Iraq war a lot of this argumentation that felt like a stretch, which then, in the end, when the evidence wasn’t there really seemed like a stretch. And the question is whether the president will deploy an argument that that’s incendiary but that also requires that many banks – (inaudible). MR. SANGER: And let’s face it. Moving chemical weapons is not easy. It’s easier in a way to move small nuclear weapons than it is chemical. MS. IFILL: OK. That’s the granola of this argument, but how much of this is politics about what’s happening on the Hill and what’s not happening? MR. O’KEEFE: Well, I think the most fascinating thing is how suddenly lawmakers are looking at their call sheets every morning. And you alluded to this, John. I wrote down some figures. John Culberson, a Republican from the Houston area, he came out of a closed-door briefing yesterday. I think you were there as well. And he said, 96 percent of the calls and e-mails they’ve gotten are opposed to going into Syria. He says, I can’t think of 96 percent agreement on anything in all the years I’ve been in Congress since 2001. Kristi Noem, a Republican from South Dakota, 854 calls or e-mails opposed, two in support of military action. Bernie Sanders in Vermont – you know, famous liberal, 1,358 e-mails or faxes about Syria this week – 1,252 of them opposed. This is the funny one: 488 phone calls, 10 in support. It just shows you across the country. MS. IFILL: But how many people call to say it’s a good thing? MR. O’KEEFE: Very few. Very few. MS. IFILL: Are anti people -- are they the ones who are more likely to call? MS. DAVIS: But here’s the tough point. And the president sort of made – I’m going to summarize his remarks today, but he made sort of this point that said, you know, it’s not always our jobs to vote for the most popular things. He was trying to appeal to lawmakers’ sort of sense of morality and decency, which I think was a huge party of John Kerry’s message on the Hill. I’m not sure that’s an entirely effective message. I also think that one of the things in this White House in this lobbying effort, if you can call it that, is this is a White House that has had really bad relationships with Capitol Hill. They do not have a reservoir of political good will, of strong relationships that they can call in, or a trust relationship. If anything, this is a president who most recently has said, I don’t need Congress; I’m going to act without them; and now is trying to corral them. MS. IFILL: There is also kind of a moral argument that’s out there that the White House has not apparently effectively made in a way that sticks that not only the hangover from Iraq but the hangover from previous interventions. So let’s listen to what the president had to say today at his farewell news conference in Saint Petersburg. PRESIDENT OBAMA: (From tape.) When people say that it is a terrible stain on all of us that hundreds of thousands of people were slaughtered in Rwanda, well, imagine if Rwanda was going on right now and we asked, should we intervene in Rwanda? I think it’s fair to say that it probably wouldn’t poll real well. MS. IFILL: Now, that’s an interesting point he’s trying to make. He’s making the connection between the moral argument and the polling argument. MR. SANGER: He is, but it’s an interesting argument to hear from Barack Obama because 100,000 people died in Syria of conventional – from conventional causes, just an ordinary civil war. And he was leading the group within the administration saying there’s no way to affect the outcome on the ground. And the lesson of the Iraq and Afghanistan interventions are you don’t go in unless you’ve got a plan that will actually affect the outcome on the ground. We don’t have a very good record of that. Then, 1,000 people, 1,400 if you believe the administration, 350 if you believe some of the European intelligence reports, but a lot of people get killed by chemical weapons and this becomes the source of the intervention. And this is the great strategic disconnect in his argument because he keeps saying this is a limited strike, a day or two, to teach a lesson, a shot across the bow I think is what he said to you, right? MR. SANGER: To Assad. And one of the questions you’re hearing in Congress from people who I think would otherwise be inclined perhaps to support him is, OK. So tell me what happens the day after you do the shots over the bow. MS. IFILL: So there’s a real slippery slope thing going on there. MR. DICKERSON: Well, there’s a slippery slope and the disconnect because he says on the one hand, he wants Assad to be out – that’s one part of our strategy – but the other is that this will have no connection to that previous strategy. This is just purely about the chemical weapons. MS. IFILL: This is not about regime change he keeps saying. MR. DICKERSON: This is not about regime change. MS. IFILL: Except that – except when it is, when John McCain insists that it is. MR. DICKERSON: Well – and also on the slippery slope, speaking of John McCain, we saw in the vote in the Committee on Foreign Relations in the Senate this week, John McCain balked at the authorization language because it wasn’t strong enough. So they tweaked it a little. They made it a little bit stronger. We hear that this attack is going to degrade the Syrian regime’s ability. That’s a little bit different than deterring. Degrade means actually go hit more things and maybe tip the balance of power. What we see in this tiny little (evident ?) in the Committee on Foreign Relations is this slippery slope. It gets – it needs to get a little more aggressive to buy John McCain off. So every time the president is saying limited on the one hand to talk to his Democrats, he’s saying degrade, change the battlefield to get John McCain. MS. IFILL: We have to – we have to listen to this little piece of sound from John Kerry during that hearing speaking of slippery slope when you start to talk about exactly how far he’ll go. Let’s listen. SEC. KERRY: (From tape.) In the event Syria imploded, for instance, or in the event there was a threat of a chemical weapons cache falling into the hands of al-Nusra or someone else, I don’t want to take off the table an option that might or might not be available to a president of the United States to secure our country. Because I don’t want anything coming out of this hearing that leaves any door open to any possibility. So let’s shut that door now as tight as we can. MS. IFILL: First he opened the door and then he realized what he had done and shut it again. That’s when it gets slippery. MR. O’KEEFE: – I mean, given the resolution they ended up passing. And I think it was compelled in part because of what he said in that hearing was no U.S. combat troops, maybe a rescue mission if you had to, but that’s it. And in expanding the language, you’ve probably cost the Senate vote maybe 10 Democratic votes. We’ve lost what? Tom Udall, Chris Murphy of Connecticut; Ed Markey is still very skeptical and said, specifically because of the language that was inserted for John McCain you’re likely going to lose a reliable Democrat. MS. IFILL: When they asked General Dempsey, would you like to say, he said, nothing. I’ve got nothing. MS. DAVIS: Would you like to weigh in? Yeah. He didn’t – he did not wow in front of the hearings. He certainly didn’t exude. He didn’t make a compelling case. And I think you can’t underestimate that a lot of lawmakers have incredibly strong relationships with the Pentagon. And if we are hearing that from Pentagon officials, they’re certainly hearing as well. MR. DICKERSON: One person who’s pushing for action, pushing, supporting the president on this said that Dempsey looked like he was a hostage there during the testimony. John Kerry was being aggressive and energetic and Dempsey could – you know, all of his body language was – this person said was almost difficult to watch it was so reluctant. MR. SANGER: Well, you can see the tension in the administration between the sort of Dempsey camp and the Kerry camp. You know, it was pretty evident in that hearing. Why is this happening? In part it’s happening because the Pentagon’s view and the U.S. military’s view of any kind of intervention like this is if you send U.S. troops in, you’d better be sending them in to make a point that no one in the world is ever going to miss. And so when the president comes out and says, we are there to send a warning shot, the Pentagon says, we don’t do warning shots out here, you know. We do something to make it clear that you don’t cross the U.S. military again. So that’s why they’re that reluctant. MS. IFILL: Yeah. And they don’t do humanitarian missions either. MR. SANGER: Well, they will do humanitarian missions if that is the sole mission, but, you know, in Libya, before Benghazi and all that, that was considered a success not simply because they protected the people of Benghazi when it looked like Gadhafi’s forces would go there, but because, in the end, the government fell and – (inaudible). And Dempsey had to say, I can’t tell you this is going to make any difference on the ground. MS. IFILL: So we have a big speech coming up Tuesday night. The president is going to make his case again, hopefully to a larger audience for the White House to say, what does he have to do? What are people waiting for? How much are people hanging on his powers of persuasion Tuesday night? MR. O’KEEFE: Very much. I mean, lawmakers of both parties, they want to see him give this speech. They want to see him stick his neck out there and try to explain this to the American people. And then I really do think the next morning, they will start waiting to see what kind of reaction they’re getting from constituents. I spoke to a few lawmakers this week who said on this issue more than most, they’re hearing from people. People are really paying attention to it. It is that Iraq and Afghanistan war fatigue. People are – if the president believes this, he’s got to convince people. They want to hear what would happen on day two, three and four. They want to hear what does it mean for the rest of the region and why would it affect someone in Illinois or the Dakotas? MS. DAVIS: Along with the speech, I also think the two sort of sideline efforts that are going to make a factor early next week is don’t underestimate the value of when members come back and get into the room together. The hive mentality can go either way. And I think members not only look to the president but they look to other members to sort of form opinions. Many of them have not seen this classified briefing. The other factor I think is interesting is sort of the outside lobby. AIPAC, the Israeli lobby, has said that they are going to do a full-court press of members next week to convince them that they should vote for this. And that’s an extra factor. MR. DICKERSON: Well, just the president, the tone he talks about – we saw it in his remarks today – about the children who were killed, raising – making the moral case with very sort of a graphic discussion of what this weapon did to children, innocent children. That’s what makes this a distinction from the previous killing in Syria. That’s why this is a line for the world that isn’t – that when it’s crossed must be stopped, making – you know, they think that their most powerful emotional case is in that area. And that is powerful emotionally, but it can also be very tricky. MR. SANGER: He’s got to decide whether he’s making a humanitarian case here or a national security case. And that he’s tried to do a little bit of both and I think it’s been unconvincing because of that split. MS. IFILL: OK. That’s what they’re planning on the plane flying back from Russia tonight. We’ll see how it turns out. Thank you everyone. We’re done here for now. But we’ve always got a couple of ways for you to stay part of the conversation at pbs.org/washingtonweek, where the “Washington Week Webcast Extra” will stream live at 8:30 p.m. Eastern Time and all weekend long. And speaking of the weekend, we’ve got exciting news from my “NewsHour” colleague, Hari Sreenivasan. HARI SREENIVASAN [PBS “NewsHour Weekend”]: Thank you, Gwen. Coming up tomorrow on the premiere edition of PBS “NewsHour Weekend,” with all of the turmoil in the Middle East, an important story getting very little attention: Israel’s huge energy discoveries. How will they change life there and throughout the region? That’s tomorrow on PBS “NewsHour Weekend.” Gwen. MS. IFILL: The brand new PBS “NewsHour Weekend” airs Saturdays and Sundays. Check your local listings for the exact time. And you might as well just keep your dial on PBS because starting Monday, Judy Woodruff and I take over the anchor desk at the PBS “NewsHour,” where we’ll keep you up to date on daily developments, including special coverage of the president’s Syria speech on Tuesday. And then, we’ll see you next week, right here on “Washington Week.” Good night. Panelists discuss Syria, analyzing the G-20 summit and the reactions of 2016 GOP hopefuls. The U.S. military on Friday began to revamp its strategy in Syria, after President Trump decided to shift course and keep several hundred American troops in the country. 4 min 47 sec ago. 5 min 41 sec ago. 11 min 3 sec ago. 18 min 2 sec ago. 18 min 6 sec ago. 19 min 3 sec ago. 19 min 29 sec ago.